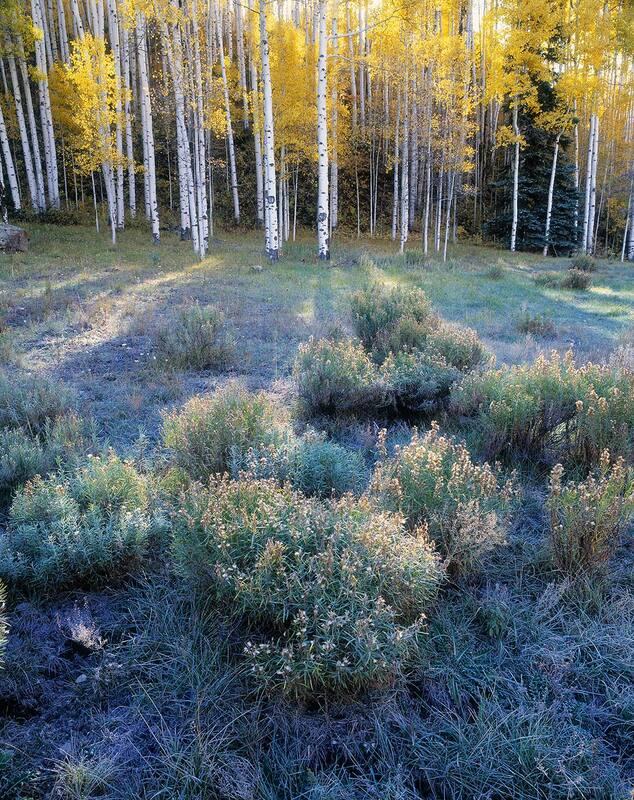 Autumn aspens filter the rays of the rising sun as they melt the frost on the rabbitbrush in the foreground. I found this composition accidentally, while hiking to another destination, but by the time I set up the camera, it was gone. I returned the next morning to capture this fleeting moment.